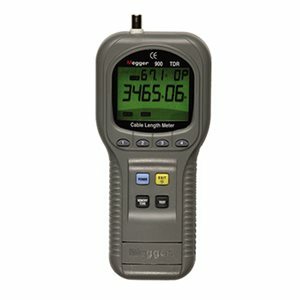 Full autoranging for measuring the length of power, telephony, CATV and LAN cables, provides distance to an open or short. Extra large, high resolution backlit LCD. Automatic output impedance control of 25, 50, 75, 100, 125 or 150 ohms. User-friendly menu on screen operation. Internal library of 39 standard cable types.